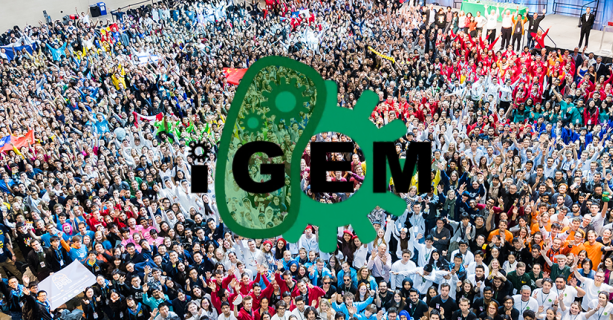 iGEM is a worldwide synthetic biology competition with over 350 teams every year. The RAIN team earned a bronze medal in our first appearance, and continues to represent Tacoma at this prestigious competition. This successful launch motivated us to come back stronger than before, and in our second year won another bronze medal. RAIN’s iGEM team is solving problems facing the Puget Sound community and propelling our student scientists to greater heights. Come by and check out the impressive work these brilliant students are doing, and hear their vision for the final product! The purpose of the competition is for students to realize the potential of synthetic biology and to encourage the creation of new technologies. What is synthetic biology? We take DNA sequences from known pathways and rearrange them to execute new purposes. Our team is comprised of local high school and college students, as well as military personnel. assembled and ready for action! The team's work kicks off with 2 months of fundamental molecular biology preparation followed by 2 months of project planning. In the summertime, students will be working full time to create and demonstrate a project that addresses nitrogen fixation in soil, a process that would reduce the need to use fertilizers, therefore reducing the financial and environmental costs of farming and food production. Follow our team's progress on Instagram @igemrainmakers! Sponsors and collaborators are always welcome by contacting us at igem@rainincubator.org. Thank you Justin Knight and the iGEM Foundation for the photo! 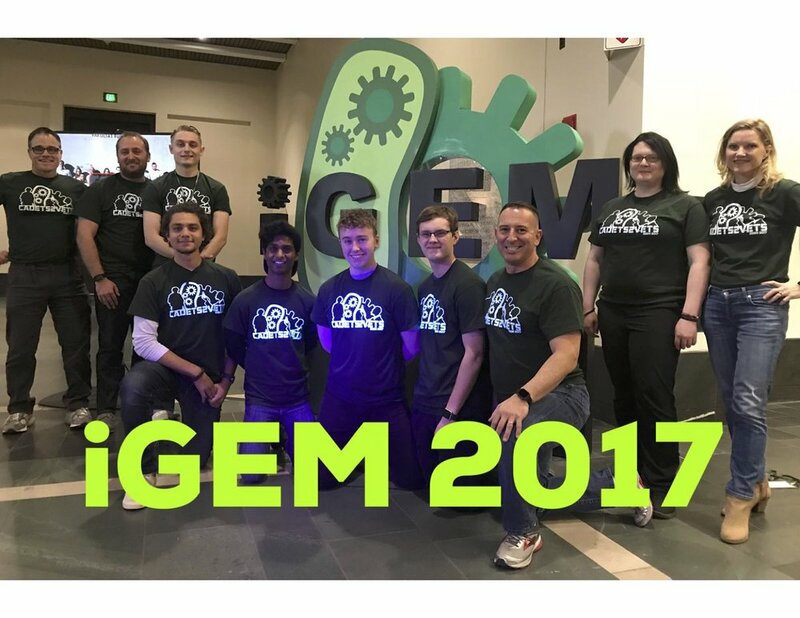 RAIN’s 2018 iGEM team, The Tacoma RAINmakers, followed in the success of RAIN’s 2017 Cadets2Vets team and worked to refine their biological arsenic sensor and further their vision of commercialization. The new sensor consists of two main parts. The first part is the arsenic regulator, ArsR, which blocks expression of the downstream chromogenic reporter. When arsenic ions are introduced, they bind to ArsR and cause ArsR to release the promoter. The reporter sequence then expresses color that can be seen by the naked eye. The main improvement over last year’s sensor is a new reporter system which replaces GFP with a chromoprotein reporter. This way users can interpret test results based on the whether or not the test strip drastically changes colors, and don’t need a light box to check its fluorescence. This is a big step toward being user friendly for the general public. It also cuts down on cost and will therefore be more affordable. Many of the RAINmakers began this year as complete beginners to synthetic biology but emerge with a wealth of new knowledge, understanding, and lab experience. They visited schools, ran booths at fairs, hosted educational events, and helped RAIN run it’s first bioengineering summer camp, spreading their excitement about the world of synthetic biology to over 1,500 people, and making them one of five teams nominated for the Best Public Engagement and Education Award. The 2018 Tacoma RAINmakers returned from the Boston iGEM Jamboree with their second consecutive Bronze Medal. Opportunities for funding are open soon so please join us in helping this talented team can continue their impressive work into next year. The 2018 sensor produces a drastic color change in the presence of arsenic. It requires no extra materials to read, and can be produced as a standalone easy-to-understand test strip. The 2017 team was named Cadets2Vets as a nod to our Army sponsorship and the involvement of West Point cadets and veterans, in addition to non-military students from Tacoma area high school and colleges. Many of the competition's consistently successful teams have been working on the same iGEM project for multiple years in a row -- they fine-tune experiments throughout the year and deliver a well thought-out and functional project by the end of the competition. The 2017 team developed an arsenic biosensor. There is an arsenic regulator protein (ArsR) that suppresses the activity of a reporter, Green Fluorescent Protein. When we combine the arsenic sensor plasmid DNA with a cellular extract, we have a complete system where DNA can be transcribed to RNA, and then translated to protein. GFP mRNA is only made in the presence of arsenic, because arsenic binds to ArsR and forces it to release its transcriptional block of GFP. Though successful, the project is not complete. We intend to keep it alive as a true research project, and continue to develop it into an increasingly more effective and practical arsenic detector. Your help is critical and greatly appreciated. RAIN has entered the 2018 iGEM competition to keep up the momentum! Our team is looking for highly motivated and intelligent students with interest in bio-engineering looking to participate in innovative ways to solve biologic problems. Our team of scientists hold meetings on Saturdays throughout the year to help educate students on scientific concepts such as PCR, transduction, transformation, and use of plasmids in the lab. To learn more about applying for the iGEM team contact us at igem@rainincubator.org and visit the iGEM website.